A hot tub is a small pool that you can usually keep open for a longer stretch of the year than your full swimming pool. Hot tub installation near Salt Lake City isn’t the end of the journey, though, and you will need to maintain the hot tub to prevent it from sustaining damage. Help your hot tub last for as long as possible by providing it with the right maintenance. You should pay particular attention to the temperature of the water, as it will be flowing through the pipes attached to your hot tub in both directions. Continue reading and find out why temperature maintenance really matters for your hot tub. You probably won’t ever have to worry about the pipes going in and out of your hot tub freezing during the summer months, but it’s not out of the question when the winter comes around again. Maintaining a consistent temperature in your hot tub keeps the water from freezing and obstructing your pipes. This helps prevent clogs and pipe leaks, which could otherwise turn into real plumbing disasters. It’s also nice to take a dip in the hot tub in January, especially if you know the water will be warm. Your hot tub cover near Salt Lake City can start to get grimy if you don’t take care of it, and you might even notice odors coming from the pool area. Hot tubs contain water at ideal temperatures for bacterial growth, which can make for a dangerous situation. Watch this video on fighting back against odors on your spa cover. The smell from your hot tub could be due to mold or mildew, which might occur if you don’t balance your water chemistry. Balancing your pH, alkalinity, and sanitizer levels can keep your cover smelling fresh. 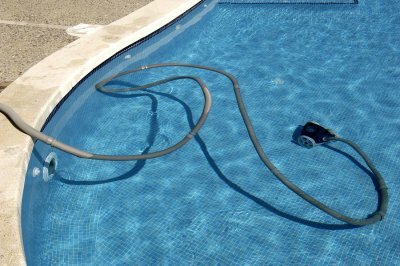 You also need to remove and clean your hot tub cover every occasionally, and remember to rinse it off and let it dry before you put it back on your pool. If your spa cover is looking like it’s already outlasted its lifespan, talk to your pool professionals and get a new one.